Government officials and their families and associates in China, Azerbaijan, Russia, Canada, Pakistan, the Philippines, Thailand, Mongolia and other countries have embraced the use of covert companies and bank accounts. Many of the world’s top’s banks – including UBS, Credit Suisse and Deutsche Bank – have aggressively worked to provide their customers with secrecy-cloaked companies in the British Virgin Islands and other offshore hideaways. The goals, team members, and media partners of this multi-year project. ICIJ’s latest “China Leaks” stories this week revealed the offshore holdings of dozens of powerful Chinese financial and political players. Today we’re going a step further – unveiling more than 37,000 names of offshore clients from China, Hong Kong and Taiwan connected to companies and trusts in 10 tax havens. Ordinarily, this information is secret or extremely hard to access – even for law-enforcement officials. But now citizens, scholars, investigators and others will be able to quickly search for names and connections among people and offshore entities linked to the Greater China region. You can learn how to best explore these connections by watching this video tutorial. Or you can go straight to the Offshore Leaks Database and start doing name and keyword searches. The database launched in June, but the details from Greater China were withheld while reporting was ongoing. Now available in English and Chinese, this interactive application is likely the biggest release of data to date showing how Chinese use the offshore world. While the database opens up a world that has never been revealed on such a massive scale, the ICIJ Offshore Leaks Database is not a “data dump” – it is a careful release of basic corporate information. ICIJ won’t release personal data en masse; the Offshore Leaks Database doesn’t include records of bank accounts and financial transactions, emails and other correspondence, passports and telephone numbers. The selected and limited information is being published in the public interest. The names and connections are part of a cache of 2.5 million leaked files ICIJ analyzed with more than 110 journalists over the last two years. Media partners include more than 50 leading organizations, including The Guardian (U.K. and U.S.), Le Monde (France), Süddeutsche Zeitung (Germany), El País (Spain) and the Canadian Broadcasting Corporation. Built by a multinational team of reporters and programmers in Costa Rica, the U.K., Spain and the U.S., the database has already received close to 6 million page views from 224 countries. It allows readers to not only learn about the ownership of thousands of secret companies, but also to explore the networks around their directors, proxy shareholders and real owners. ICIJ’s Offshore Leaks Database reveals the names behind more than 100,000 secret companies and trusts created by two offshore services firms: Singapore-based Portcullis TrustNet and BVI-based Commonwealth Trust Limited (CTL). Their clients are spread over more than 170 countries and territories. 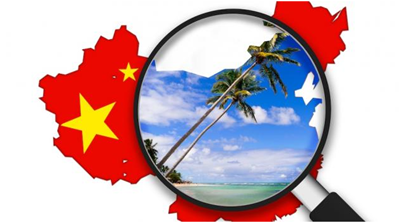 The latest revelations, published on Jan. 21, exposed how close relatives of China’s top Communist leaders and wealthiest capitalists have held secretive offshore companies in the British Virgin Islands (BVI) and other offshore centers. 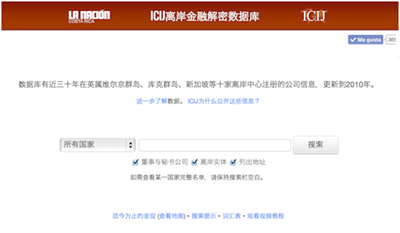 A few hours after the articles were published, Chinese censors blocked access to them on ICIJ’s website and the websites of other partner publications. Still more stories may be found among the more than 37,000 names being released today. Part of the goal of making this information public is to crowd-source. Please get in touch with us if you find something worth investigating. You may also download the data to your computer and explore the information more deeply. EU Commissioner Algirdas Semeta said the ICIJ’s investigation has transformed tax politics and amplified political will to tackle the problem of tax evasion – knocking down what the EU Observer called “a wall of apathy” in Europe that had thwarted previous attempts to attack offshore secrecy. During a visit to the White House in May 2013, British Prime Minister David Cameron made a strong pitch for tackling what he called “the scourge of tax evasion,” one of the central themes of that year’s “G8” meeting, in Northern Ireland, of leaders of eight of the world’s wealthiest countries. “We need to know who really owns a company, who profits from it, whether taxes are paid,” said Cameron. This entry was posted in China, Financial, Reports, Security and tagged British Virgin Islands, China, Colourbox, Credit Suisse, Deutsche Bank, Greater China, Hong Kong, UBS. Bookmark the permalink.